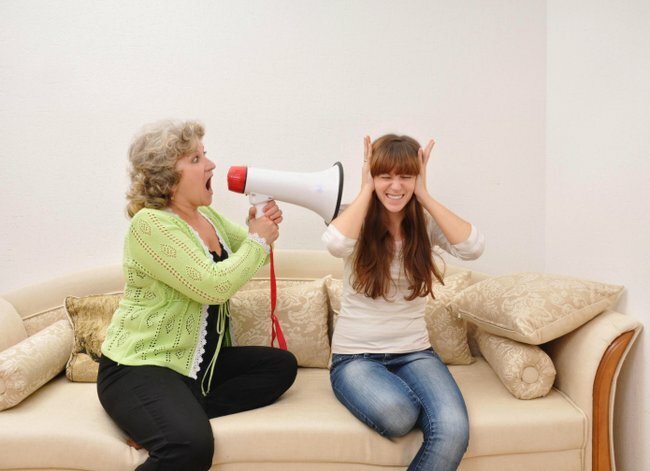 Parents disciplining teenagers with a hostile brew of screaming, cursing and name-calling may ultimately be doing far more harm than good, a new study reveals. A USA-based analysis involving nearly 1,000 two-parent families and their adolescent children suggests that such harsh oral lashings not only don&apos;t cut back on misbehaviour, they actually promote it. The end result: an uptick in the kind of adolescent rage, stubbornness and irritation that escalates - rather than diminishes - disobedience and conflict. "Most parents who yell at their adolescent children wouldn&apos;t dream of physically punishing their teens," noted study author Ming-Te Wang, an assistant professor with the department of psychology at the University of Pittsburgh School of Education. "Yet, their use of harsh verbal discipline - defined as shouting, cursing or using insults - is just as detrimental to the long-term well-being of adolescents," he said. "Our findings offer insight into why some parents feel that no matter how loud they shout, their teenagers do not listen," Wang added. "Indeed, not only does harsh verbal discipline appear to be ineffective at addressing behavior problems in youth, it actually appears to increase such behaviours." Wang and his co-author, Sarah Kenny of the University of Michigan, report their findings in the current issue of the journal Child Development. To explain the dimension of the problem, the authors point to a recent survey that indicated that roughly nine in 10 American parents acknowledge having engaged in some form of harsh verbal discipline at some point with their child, teenaged or otherwise. More than half said that their teenage child was the brunt of the most virulent forms of verbal assault (such as cursing and name-calling). To dig deeper, the investigating pair focused on 976 primarily middle-class families in Pennsylvania, USA with young adolescent offspring, all of whom were already participating in a long-term study exploring family interaction and adolescent development. A little more than half the families were white, while 40 percent were black. Parents and their young adolescent children were repeatedly surveyed over a two-year period to gain insight into a range of mental health and relationship questions. In particular, between the ages of 13 and 14 all the children were asked to disclose the frequency and nature of any recent behavioural issues, including in-school disobedience, stealing, fighting, damaging property for fun or lying to their parents. Parents, meanwhile, were asked to reveal how often they had engaged in harsh verbal discipline, along the lines of having yelled, shouted, screamed, sworn or cursed at their teen. Name-calling -- such as calling their child "dumb" or "lazy" -- was also noted. At the same time, teens were asked to describe to what degree they felt "warmth" in their relationship with their parents, as a function of the amount of parental love, emotional support, affection and care they felt was directed their way. In addition, both teen and parental depression were tracked. The teens who experienced the kind of emotional pain and discomfort brought on by a parental verbal onslaught showed a bump in anger alongside a drop in inhibition, prompting an increase in the very things - lying, cheating, stealing or fighting - that most parents set out to stop. "Importantly, we also found that &apos;parental warmth&apos; did not lessen the effects of the verbal discipline," Wang said. "The sense that parents are yelling at the child &apos;out of love,&apos; or &apos;for their own good&apos; does not mitigate the damage inflicted. Neither does the strength of the parent-child bond. Even if you are supportive of your child, if you fly off the handle it&apos;s still bad," he pointed out. "Parents who wish to modify their teenage children&apos;s behavior would do better by communicating with them on an equal level," he added, "and explaining their rationale and worries to them. Parenting programs are in a good position to offer parents insight into how behaviors they may feel the need to resort to, such as shouting or yelling, are ineffective and or harmful, and to offer alternatives to such behaviors." Rahil Briggs, director of pediatric behavioral health services at Montefiore Medical Center and an assistant professor of pediatrics with the Albert Einstein College of Medicine in New York City, expressed little surprise with the findings. "But it&apos;s important to point out that we&apos;re not just talking about shouting in frustration, which everybody has done," she acknowledged. "It&apos;s one thing entirely to raise your voice at your child. That happens. But it&apos;s another thing entirely to say to your teen &apos;you&apos;re dumb&apos; or lazy, or issue vulgarities," Briggs explained. "The issue," she added, "is that your parents are supposed to be on your side, on your team. But here we&apos;re talking about verbal intimidation and humiliation, which is in many ways the most damaging to children trying to find their way in life. So, this finding is not surprising at all."